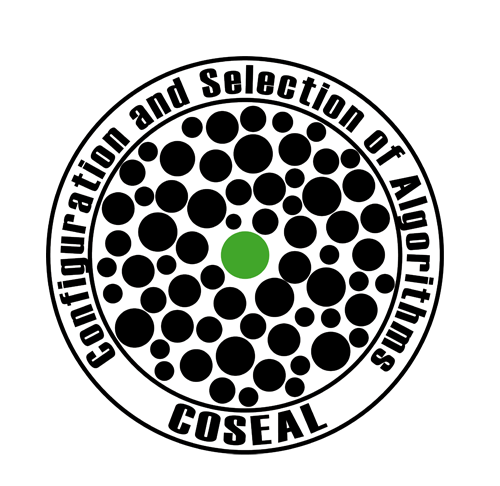 The fifth COSEAL Workshop is a forum for discussing the most recent advances in the automated configuration and selection of algorithms. 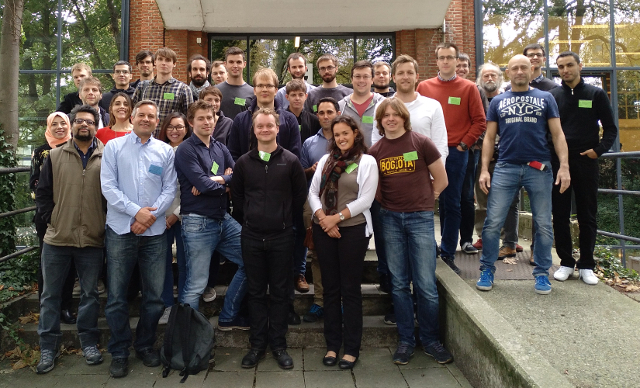 It will take place on September 11 and 12, 2017 in Brussels, Belgium and is organized by the IRIDIA laboratory of Université libre de Bruxelles (ULB). The workshop will consist of posters and talks about late-breaking research and useful tools, discussions regarding intra- and international cooperation, and many opportunities to interact with other attendees. On Sunday evening at 20:00, September 10, we will meet at The Sister Brussels Café, Rue Chair et Pain 3, 1000 Bruxelles for a get-together. On Monday evening there will be a social dinner at the Restaurant L’Arrière-Pays Rue des Minimes, 60, 1000 Bruxelles. On Tuesday afternoon after the Workshop there will be a social programme. If there is no rain (what seems to be likely), we will do a Picknick in the Bois de la Cambre and then take coffee at Chalet Robinson, which is on an island in the park. After the coffee, we will go to the city center (guided tour by Leslie) and then have a drink in the center. While registration is free, we do not have funding; hence lunch and dinners will be on your own expense. To propose a presentation or just to register, email to coseal “at” iridia.ulb.ac.be. Will you be presenting a poster? If yes, what is the topic? Would you like to present a talk? If yes, what is the title? Will you be attending the get together on Sunday evening, September 10? Will you be attending the workshop dinner on Monday, September 11? Will you be attending the social activity on September 12, afternoon? We would appreciate it if you submit a proposal for your presentation as soon as possible but not later than by August 3. If you only want to attend and participate in discussions, please also register as soon as possible. If you will present a poster: For the poster size the best is format A0 high, that is, 841 (width) x 1189 (height). Below is a preliminary list of participants to the COSEAL Workshop. The Workshop will take place in building C of ULB’s Solbosch campus; the address is Av. Adolphe Buyl 87, 1050 Ixelles. Campus Solbosch can be reached from the city centre with bus lines 71, 95 and tram line 94. Tram lines 7 and 25 also serve the area. Public transport tickets cost 2.10 euro for a single trip (2.50 euro if bought in the bus or tram), need to be validated for each travel and have a validity of 1 hour. 10-journey tickets are also available at a cost of 14 euro, but require an electronic card to be used (cost: 5 euro). Tickets can be purchased at any metro station and at many tram/bus stops (GO machines), as well as in many shops and supermarkets. Check the STIB website for more info. 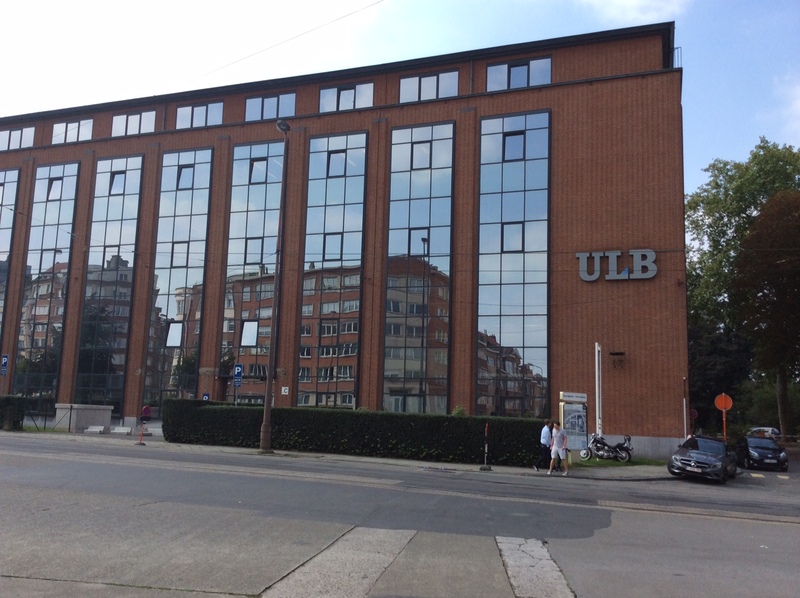 If you come by car and wish to have access to the parking on the ULB Solbosch campus, you need to provide us before September 1 with your name, university, type of car, and number plate. More details can be found here. The capital of Belgium and of the European Union, the Brussels Capital Region is easily reachable from abroad, being served by 2 international airports and 3 main railway station. The main airport of Brussels is in Zaventem (BRU), from which Brussels can be reached by train (Airport fare, 8.80 Euro to any station of the Brussels Capital Region), bus (lines 12/21, 4.50 euro to Place Luxembourg / European Parliament) or taxi. The second airport of the Brussels Capital Region is in Charleroi (CRL), from which it is possible to reach Brussels by shuttle (14 to 17 Euro to the South Station), or bus+train. The three main train stations (North Station / Gare du Nord / Noordstation, Central Station / Gare Centrale / Centraal Station, South Station / Gare du Midi / Zuidstation), that form the heart of the belgian railway system, connect Brussels not only to every other major town in Belgium in no more than 1.5h, but also to various European towns and capitals like Paris, Amsterdam, London, by high-speed lines. More info can be found in the websites of the companies NMBS/SNCB, SNCB Europe, Thalys. We suggest accommodations in the city centre from where it is possible to reach the workshop location by bus line 71, or in the area of Avenue Louise (well connected to the centre and to the workshop location). Some options are listed here below; you can look for alternatives on booking.com or AirBNB. As a rule of thumb, check the proximity with transport lines 71, 93, 94, 95.